The content tool allows students to view and access a variety of media including Word documents, PDfs, external links, videos, and HTML documents for their courses. Select the class you wish to view the content for. To access the content tool, select the "Content" option on the navigation bar. The content area has several tools to improve user accessibility to high importance items. 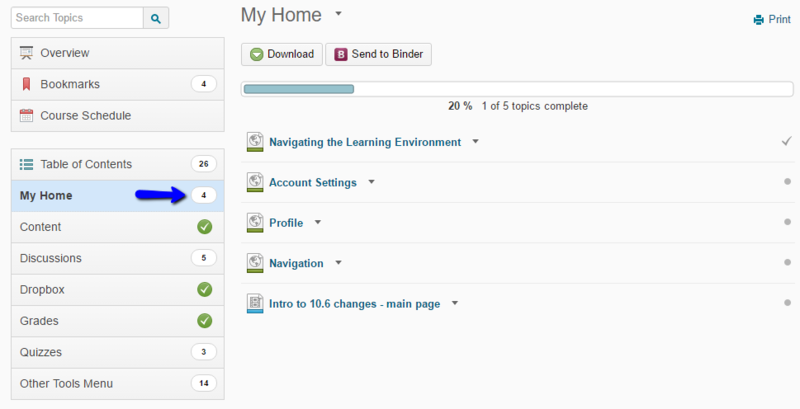 These include the content overview, bookmarks, and course schedule. 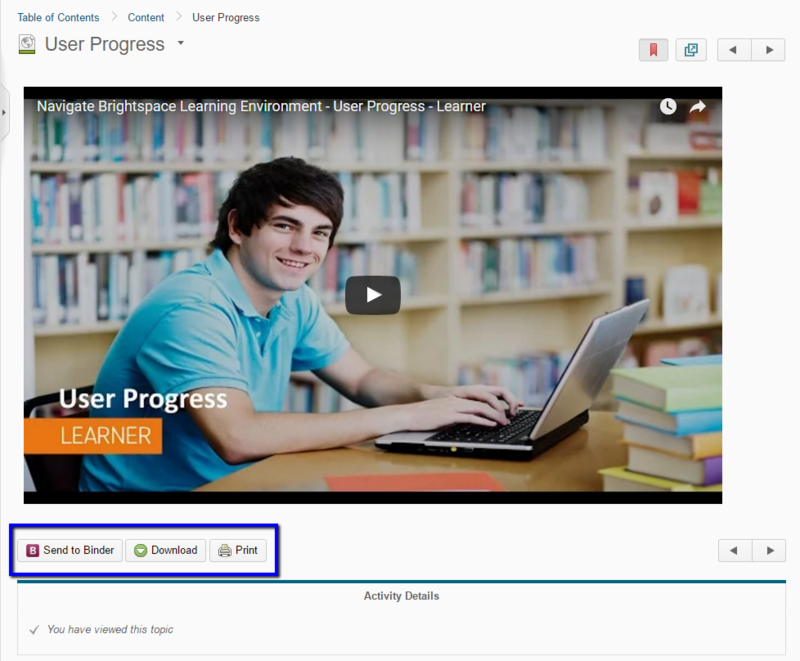 The content overview provides instructors the opportunity to introduce what to expect in the course and give important information about how the class will be run. 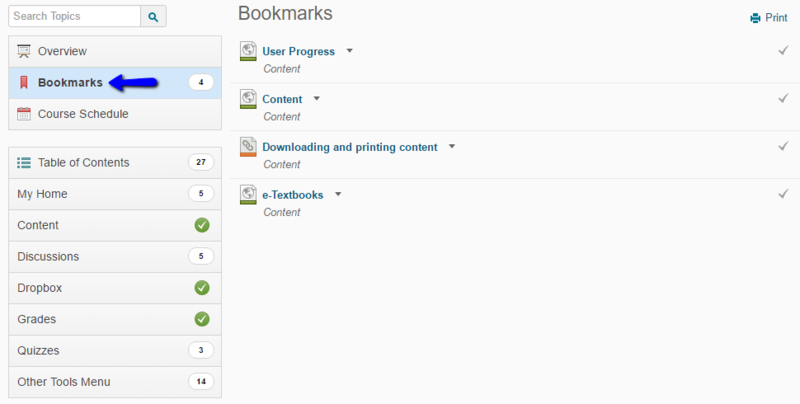 The bookmarks allow you to easily access files that you have marked due to importance or for other reasons. The course schedule shows upcoming events in the course. You can choose to have it display only upcoming vents or you can view the full class schedule. This area also breaks the events down by how soon events are happening in the course. Material in the course is broken by instructors by module. 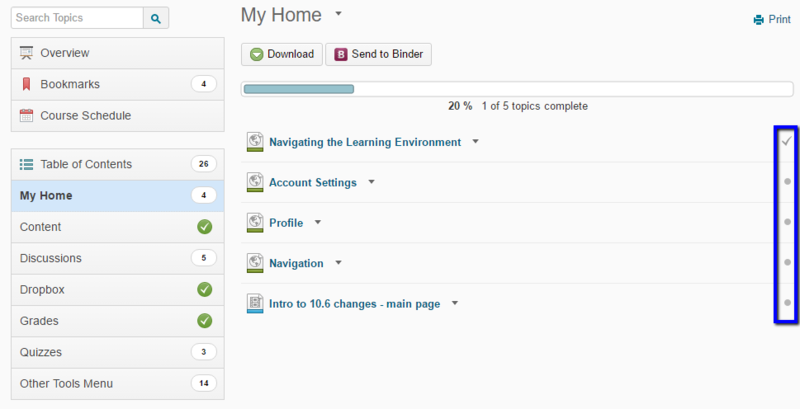 Each module is displayed as a separate category under the Table of Contents. 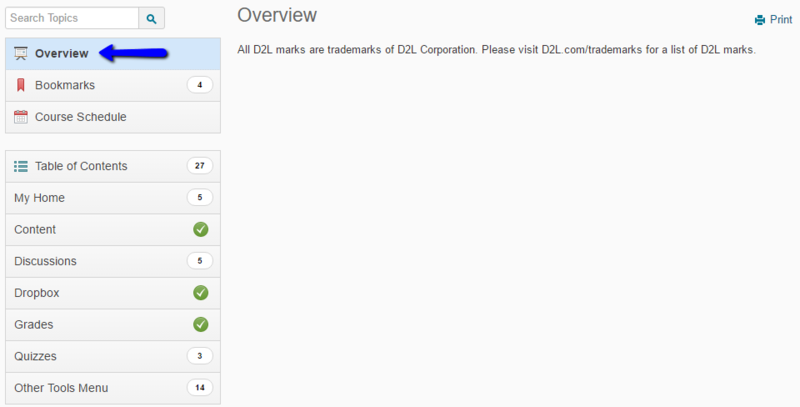 There are a variety of features in this section that allow users to monitor completion of material. The first of these is the side bar that displays the number of remaining items in that module. If there are no remaining materials, a green check mark display instead of a number. Each module also allows easy monitoring of completion through a system of check marks and dots. Dots indicate the the material is not completed yet. Check marks indicate completion of that item. 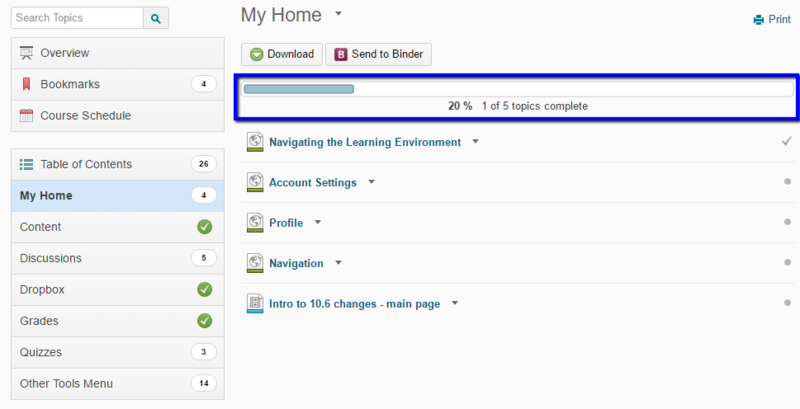 Another way to monitor completeness of a module is by referencing the progress bar at the top of the module. 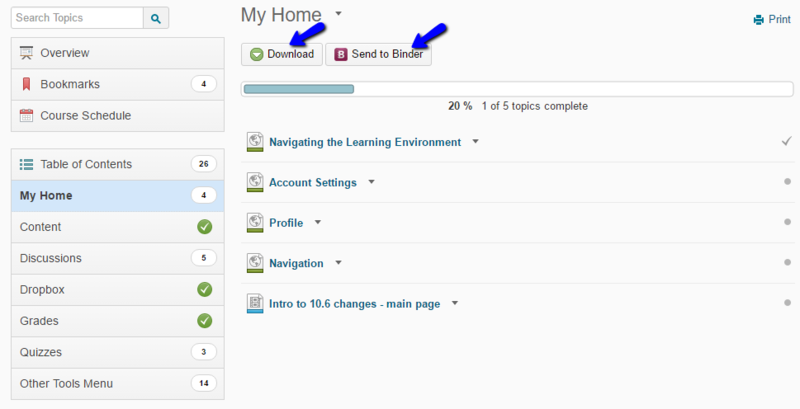 The content area allows users to download or add whole modules to Binder. This can be done at the top of the page while you are viewing the module you wish to download or add. To add to Binder, download, or print individual items, select that item and select what you would like to do. These options are located at the bottom of the page.